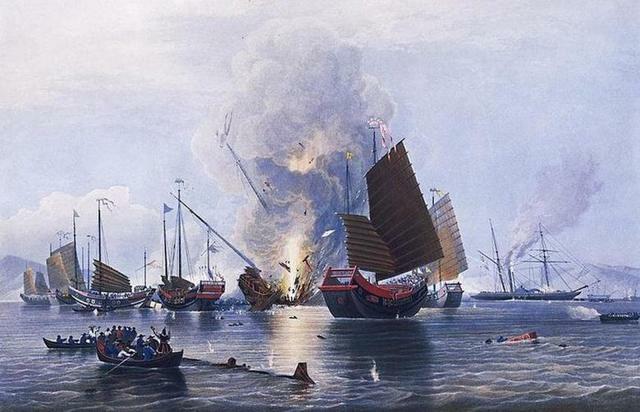 What is known as the “Opium War” was a series of conflicts between the United Kingdom and China, which was then ruled by the Qing dynasty. These wars were fought over diplomatic relations and trade, mostly. It ended with the victory of the British, which leaded to the “Treaty of Nanking”, this being the first of what would later be recognized by the Chinese as the “unequal treaties”. The British would take the Hong Kong Island along with the establishment of five treaty ports in Shanghai. After the “Second Opium War” (1856-60). The people in China started to perceive weakness among the Qing dynasty which would then start the “Taiping Rebellion”; which was a mix of a religious movement along with a political reform movement. It’s goals was to move away from centralized control which would then lead to what we know as “The Warlord Era”. 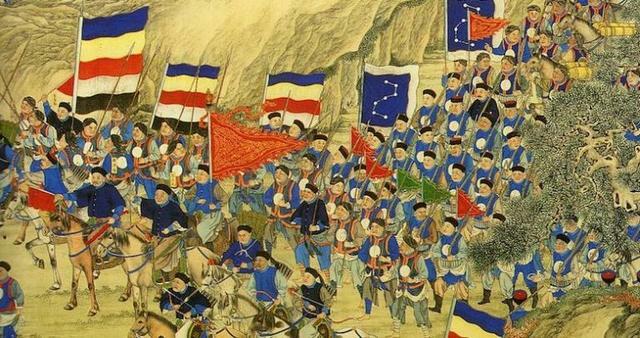 This war is considered by many as the beginning of modern Chinese history. Sun Yixian gets an invite to be China’s first president, the GMD (guomindang) is firmed and wins majority in parliament. This however gets affected by a sense of non-democracy as Sun resigns and Yuan Shikai replaces him as a “provisional president”. This revolution overthrew what would be known as the last imperial dynasty; the Qing dynasty. 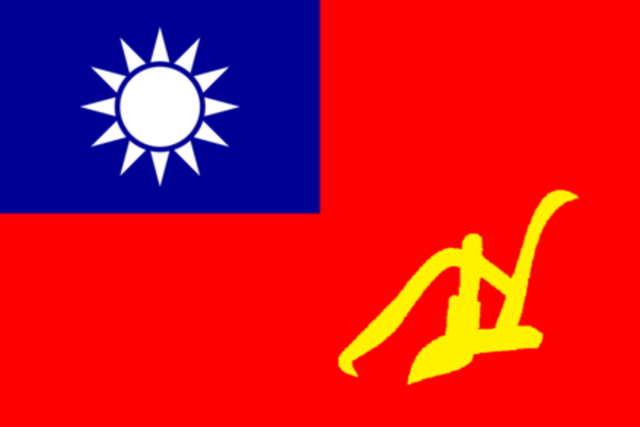 With the disappearance of imperialism the ROC (Republic of China) would have to be created. The revolution began when the government lost control of its army, after a revolt in Wuchang the idea of a revolution spread quickly and soon after that most provinces had declared themselves independent from Beijing. This revolution also has a huge weight on the civil war that would take place 15 years later. 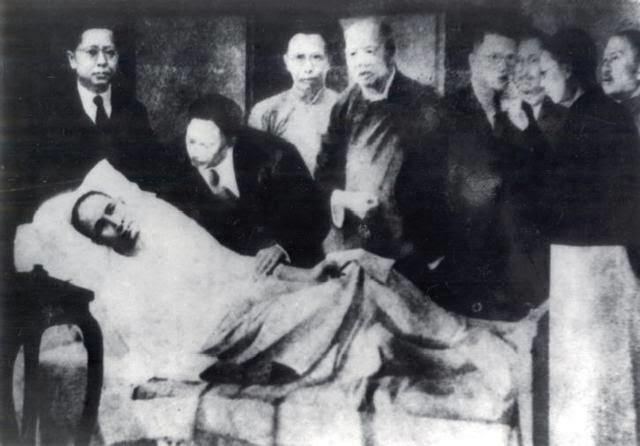 After Yuan Shikai’s death, three months after declaring himself emperor, the only thing that had given China a sense of unity died as well. A new way of rule was set to be established and that’s when what we know as “The Warlord Era” began. 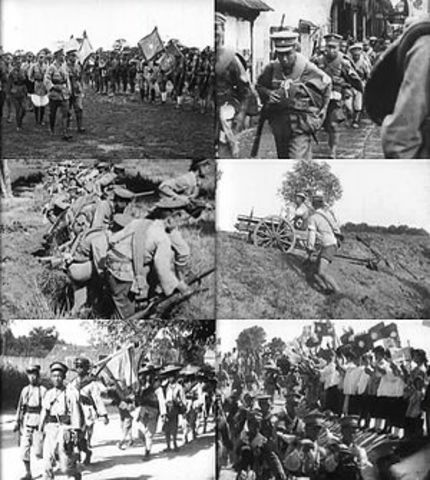 China broke up into small provinces and states, which were each controlled by their own warlord and army. This way of government would only affect peasants and increase the sense of humiliation felt by many Chinese. 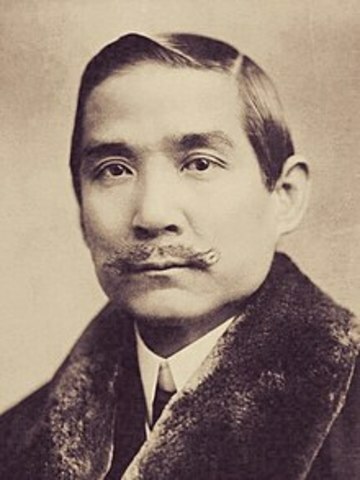 The May Fourth Movement was the epitome of what is known as the “New Culture Movement” which started in 1915 and ended until ‘21. 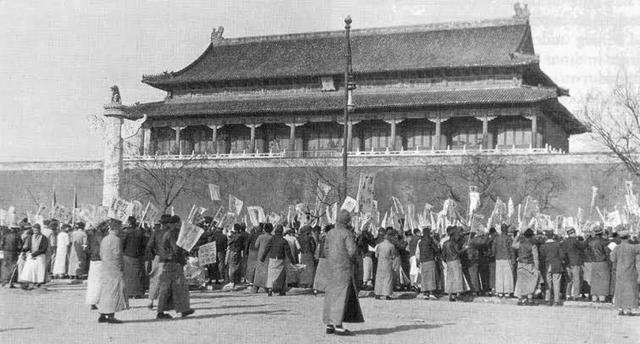 This particular day the students who were supporters of the movement led a mass demonstration against China’s government stance with the Treaty of Versailles; allowing the nation to be humiliated by the west once again. 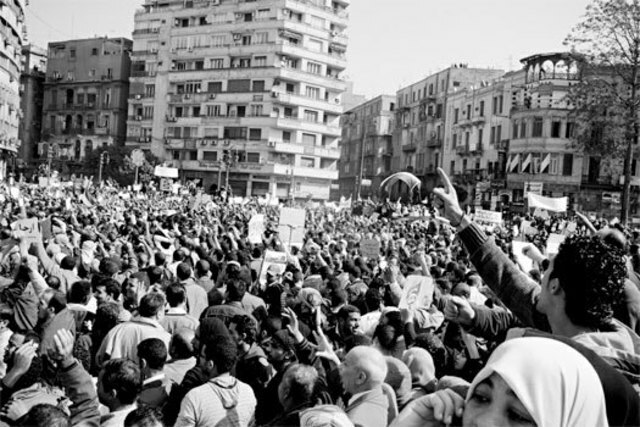 This movement sparked a shift towards political mobilization and awareness among the people. Many political and social leaders emerged thanks to this. The First United Front is established through a common interest from both the GMD and the CCP to unify China. They could also agree about wanting to be freed of foreign imperialist powers, which had previously caused a lot of trouble. With common interests, a common enemy comes into view; the warlords. Together with the communists the GMD set out on an expedition that would later be known as the “Northern Expedition”. 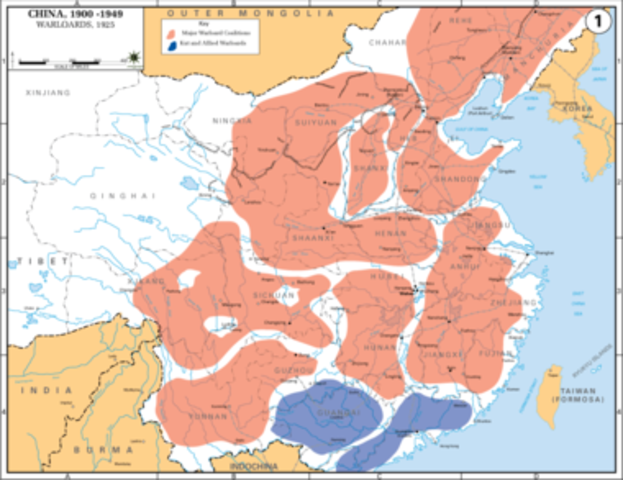 It began in 1926 with the purpose of crushing the warlords’ power, specifically those of central and northern China. The operation was a great success, a year later, the GMD had already captured Hangzhou, Shanghai and Nanjing. 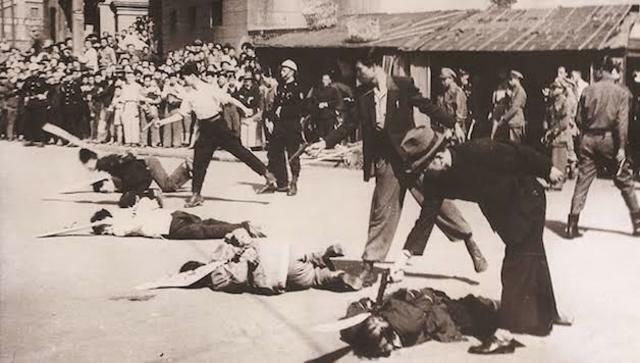 After setting up Nánjīng as the new capital and seat of government, the GMD started to show its true colors by persecuting communists even though they had proven to be qualified enough to end a way of government. China was no way near to be unified, which proved the Northern Expedition to be a friendship of convenience. With the fight against the warlords over, it was now clear how the ideology divided the parties. It is also important to remember both the White Terror and Purification Movement.